This is not a law firm in the traditional sense. We work with a network of legal, psychological, and spiritual professionals who are dedicated to dealing competently and sensitively with the challenges of family law. We offer individual legal representation, as well as comprehensive mediation services. The firm’s founder, Mark Meers, has a diverse educational background with extensive training in psychology, Eastern philosophy, mediation, finance, business, and law. His professional experience ranges from a tenure with IBM and being president of a service business with 150 employees, to working as an international mediator in Japan and working as a regional director for a non-profit organization teaching meditation techniques to business people. He has been a lawyer since 1981 and is licensed in both Kansas and Missouri. Over the years, Mr. Meers has been affiliated with numerous legal and mediation associations and is a member of the Collaborative Law Institute of Kansas and the International Association of Collaborative Professionals. Having worked with conflict resolution for many years, Mr. Meers decided to focus primarily on the practice of family law because he saw too much suffering in people going through divorce and too many families ravaged by a legal system based on the premise that in order for one person to win, somebody else has to lose. Mr. Meers’ philosophy flatly rejects attack-oriented, fear-based advocacy as a means of resolving disputes and/or protecting rights. Attack, rather than providing the protection and security it seeks, only provokes further attack in response and fuels an unending spiral of conflict. The inability to understand this simple principle has caused people endless suffering and hours of undue legal expense. Legal practice based on the Golden Rule seeks to avoid attack and relies not on fear or intimidation, but on conscientious competency and the power of human compassion. In his personal life, Mark is the father of five grown children. He is an avid gardener, hiker and marathon runner. 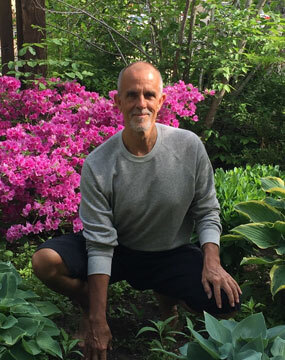 He was trained as a teacher of the Transcendental Meditation program in the 70s, is a Yoga Alliance registered yoga teacher at the 500 hour level, and teaches yoga classes in his home three times a week. He has traveled extensively around the world and lived and worked in Japan for two years. He is author of a book about this experience titled Bringing Home the Sushi, An American Businessman and his Family Take on 90s Japan.